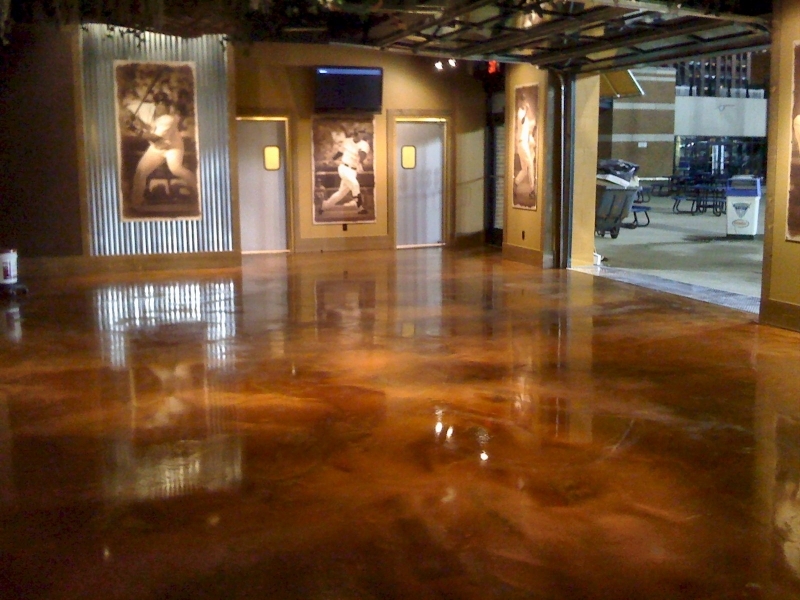 Epoxy is a floor coating/sealer which is a great alternative for protecting interior concrete and decorative concrete finishes. 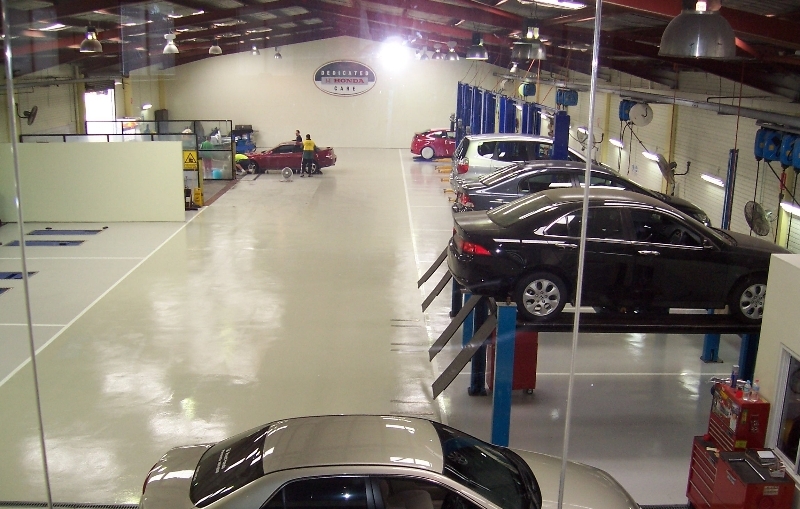 This application has virtually no odor after installation which allows for applications indoors, without sacrificing performance commonly found only in solvent based sealers. 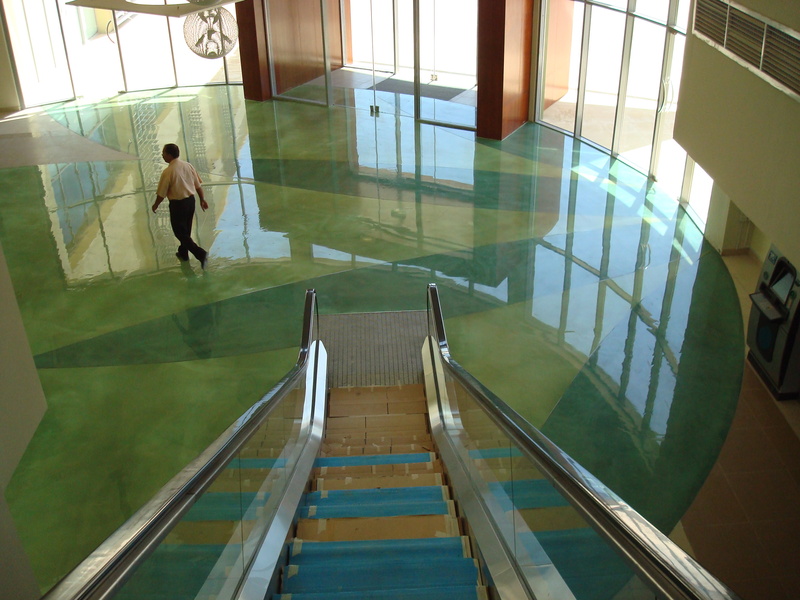 Epoxy has been designed for interior concrete floors, decorative concrete floors, stained concrete floors among other concrete surfaces. 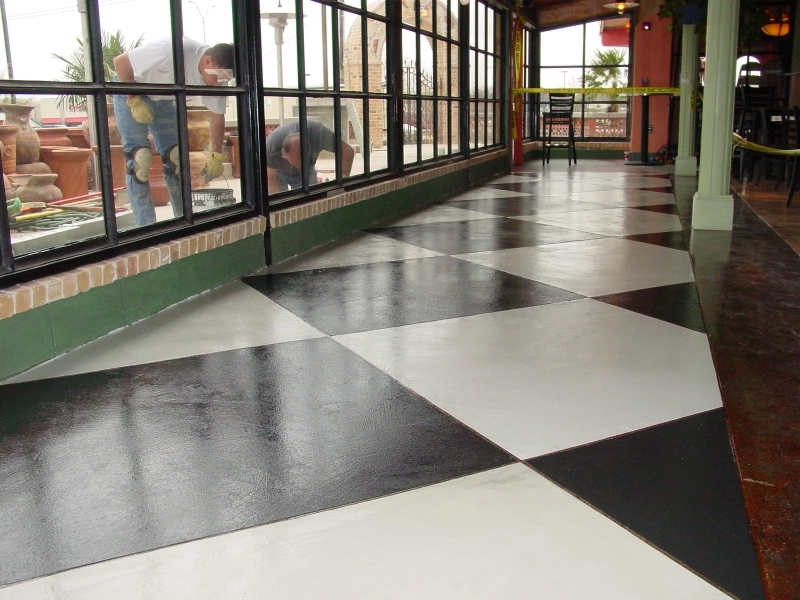 This excellent wear and scratch resistant finish provides a great looking finish and once applied, supports foot traffic in as little as 7 to 8 hours. 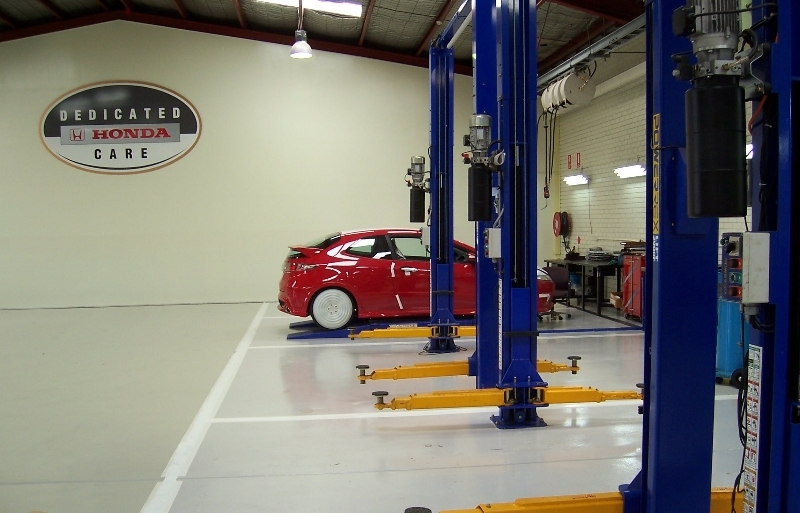 Epoxy has conventionally been thought of as an industrial or utilitarian coating for garages and industrial work spaces. 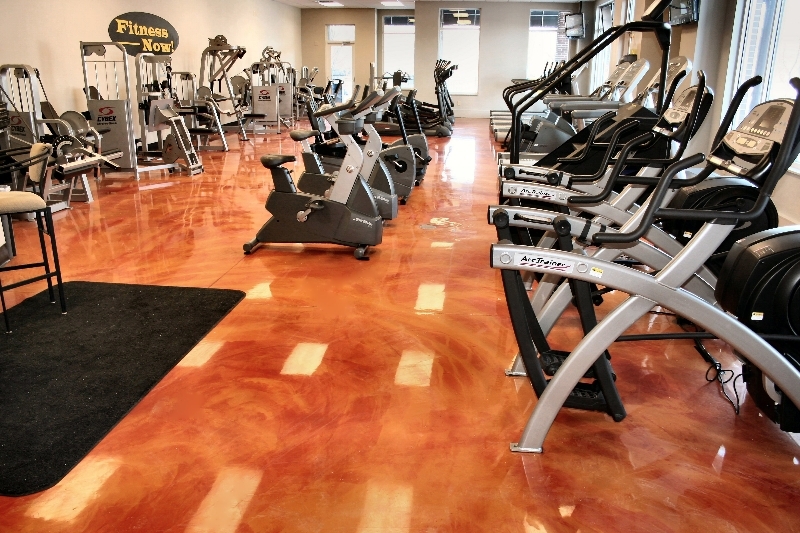 With an increase in color options, including metallics, it has gained popularity with homeowners as an interior decorative finish. 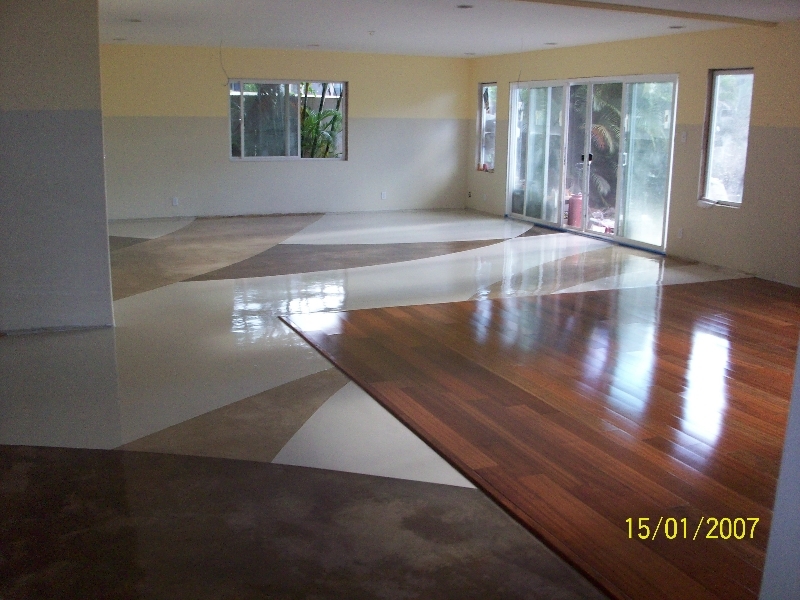 As seen in the gallery below the possibilities are virtually endless. 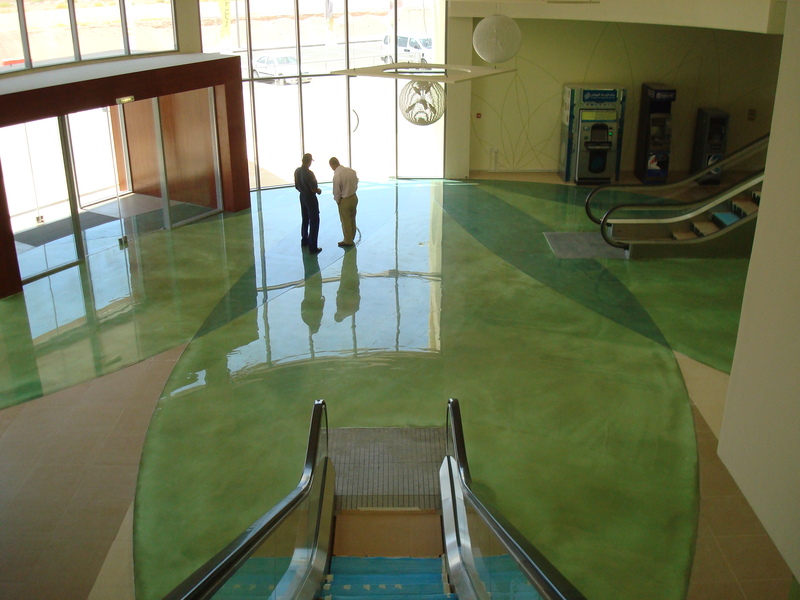 We often use epoxy as an alternative to stained concrete because stained concrete can be unpredictable and only installed over new concrete. 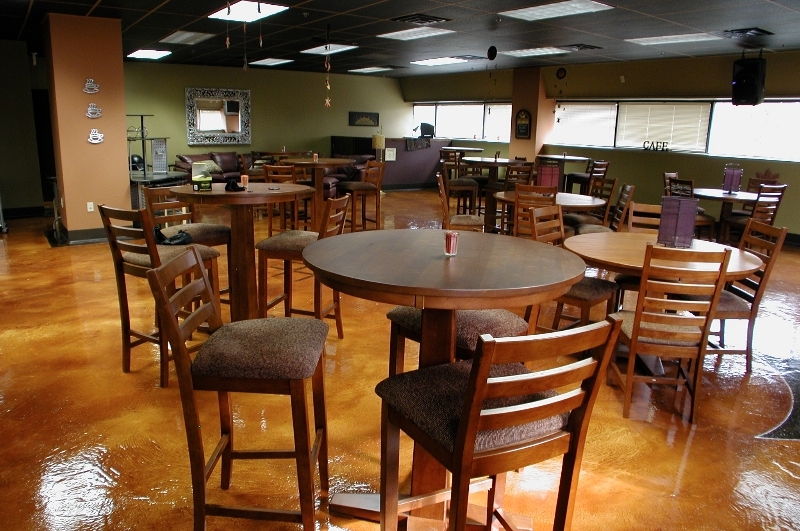 Epoxy floors, on the other hand, are controllable, extremely durable, and can be installed over both new or existing concrete surfaces. 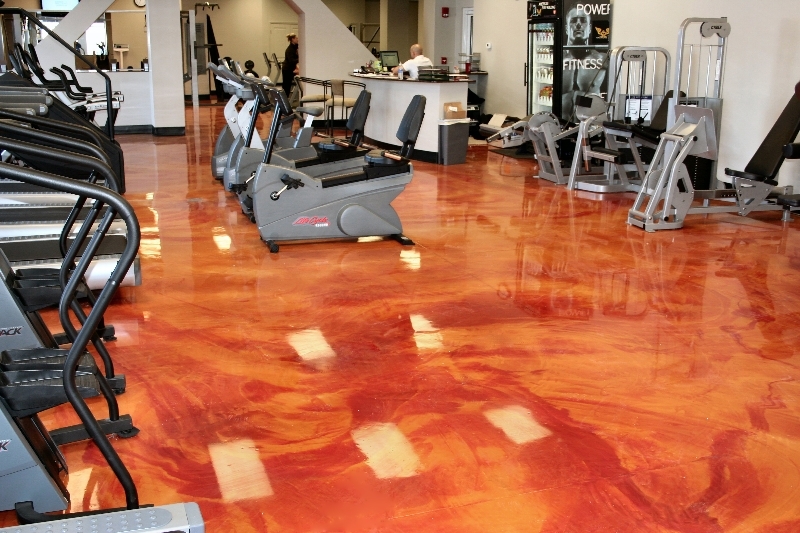 Although there have been strides in the industry over the last couple years towards UV stable epoxies, they are typically used indoors where the sun’s harmful UV rays cannot weaken the strength of the coating or cause yellowing.